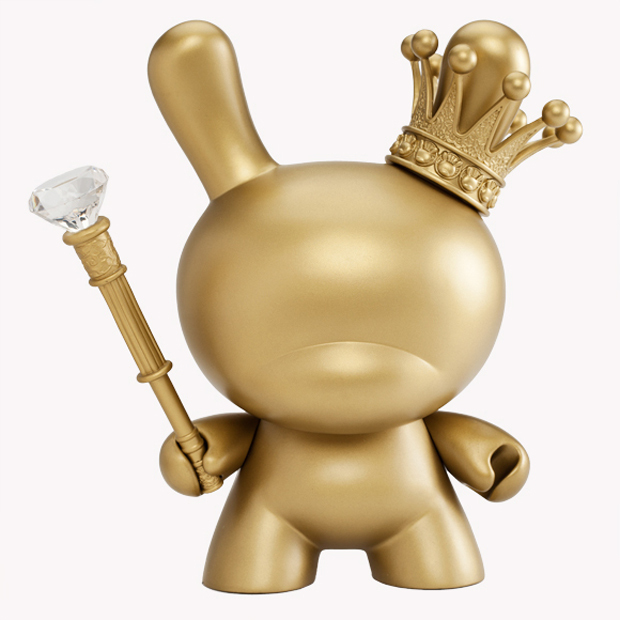 The Dunny is imagined by artist Tristan Eaton, coated in gold with it’s own crown and scepter. 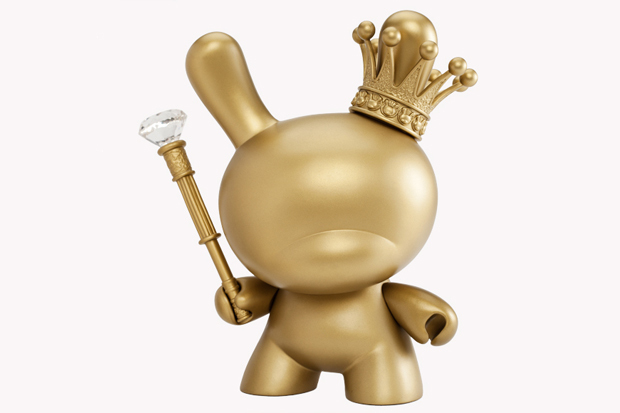 There will also be a 20 Inch version of the figure, available worldwide in late October, and a silver King Dunny, exclusive to Kidrobot New York. 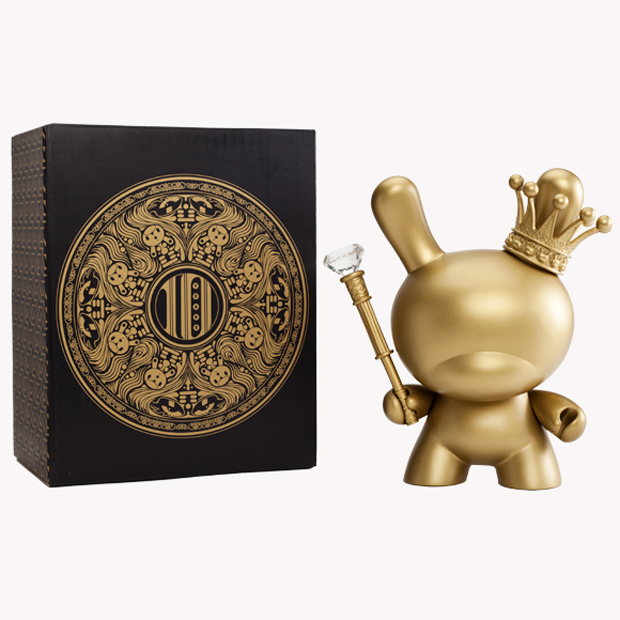 Accompanying the release and anniversary celebrations, Kidrobot will host an online retrospective, documenting their work over the last 10 years. 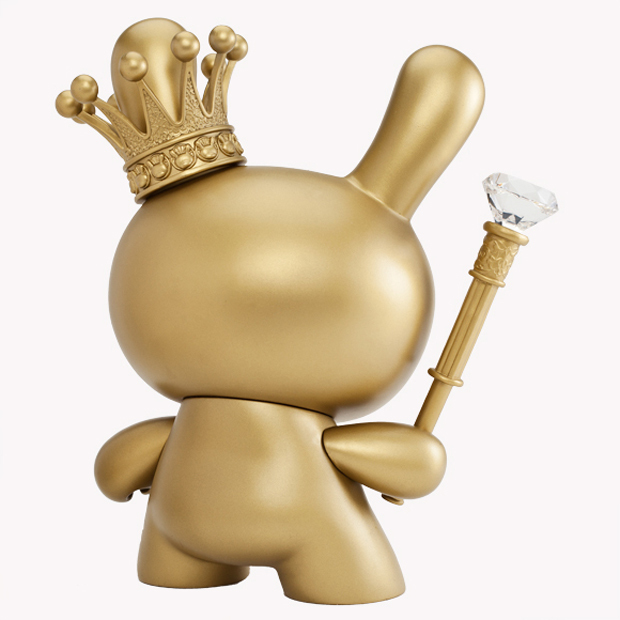 The gold King Dunny goes on sale at Kidrobot stores worldwide, including Kidrobot London, from this Thursday September 20th.